There is no native inventory display. The furnace display is enabled by default. This mod crashes Minecraft 1.12.2 with Aether II: Highlands. Yes, I've reported this to Aether II's developers... and that download link expires in 24 hours, tell me if it's expired so I can send a new one, if needed. As the crash indicates, this is not on my end. Excuse me, I've been having a problem, I know that I could just install WAILA, but I'm using 1.12.2, and there's no current 1.12.2 version of WAILA that I know of. So my problem is that I've been using HWYLA to support WAWLA, but my forge just keeps crashing. I've also tried loading my mods without WAWLA, and it still crashes. Then, when I take HWYLA & WAWLA out of my mods folder, it starts loading up like it should again. I think that there's a specific problem with HWYLA, but I can't figure out what. By the way, I'm a mac user, please don't hate..
No one can do anything without a crashlog, friend. Hello, The Horse statistics will be fixed soon? Probably if you ask on the correct project. 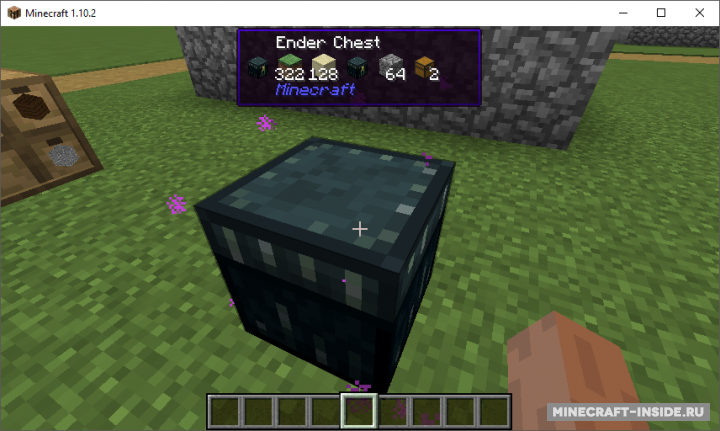 Nice mod, its faster than Waila, and (probably) has more information on blocks. I've been using this mod for a while and really love it. But I just realized that I've been using this mod and WAWLA at the same time so I went to check to see the difference between them. 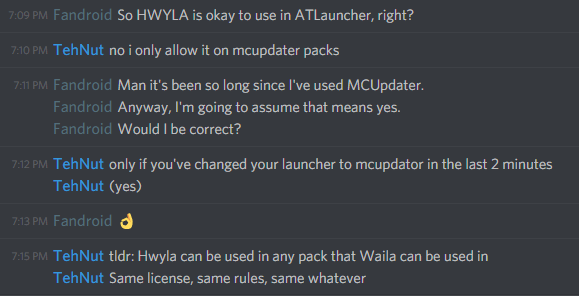 WAWLA obviously depends on this or a mod exactly like it to work but I guess the point of WAWLA is that it provides additional info? I'd love to see a list of what info this mod provides should you have time to add that to the overview page eventually. The mod itself is great and I'm going to keep using it. WAWLA, What Are We Looking At, adds a few extra bits and bobs for multiplayer. I don't think it adds any functionality if you're playing solo. Just glad to see a WAILA alternative that works for 1.12. Thanks for that. Does having both your mod hwyla & the other one from darkhax called wawla work together w/ out another problems since there both forks of waila? Wawla is not a fork of Waila. What should I do if I do not see the contents of the chests? Nothing because that isn't a feature.